Last weekend I went on a spending spree in New York City. Unfortunately for the economy, it was a poem-elfing kind of spending spree. 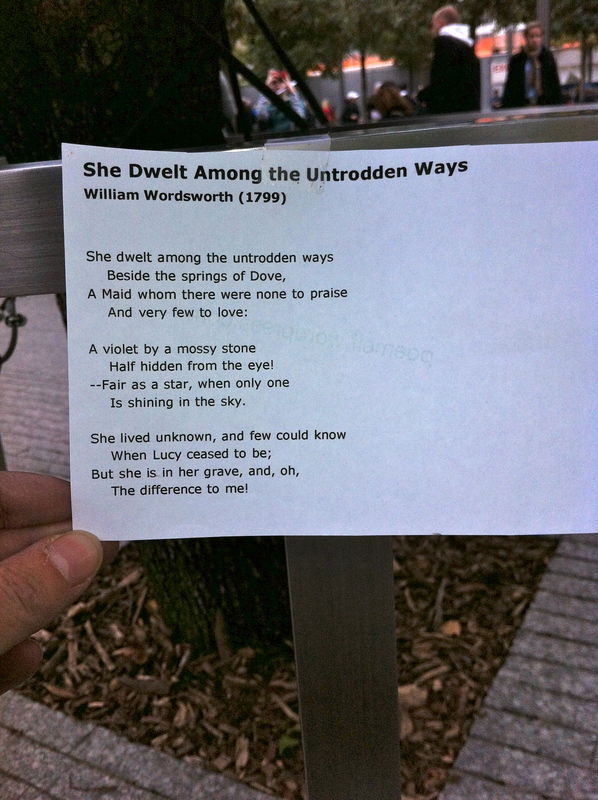 I hoard poems for future occasions the way some people keep money in special accounts for emergencies. 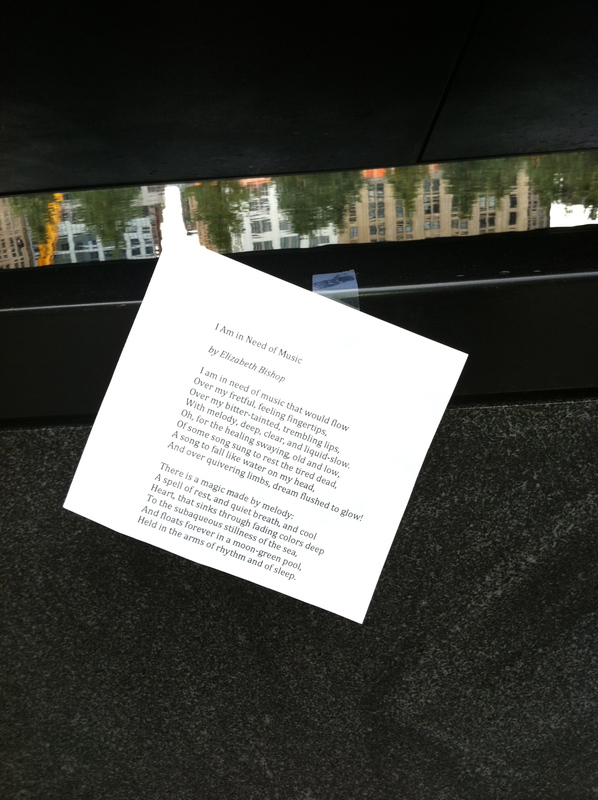 I decided to “spend” my poems in our most literary of cities. 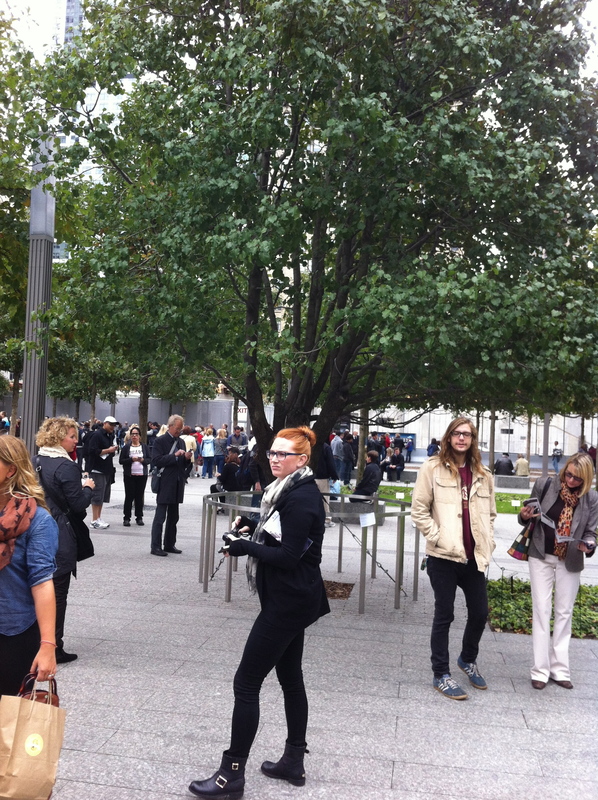 Here’s my Sunday in New York, in reverse order. 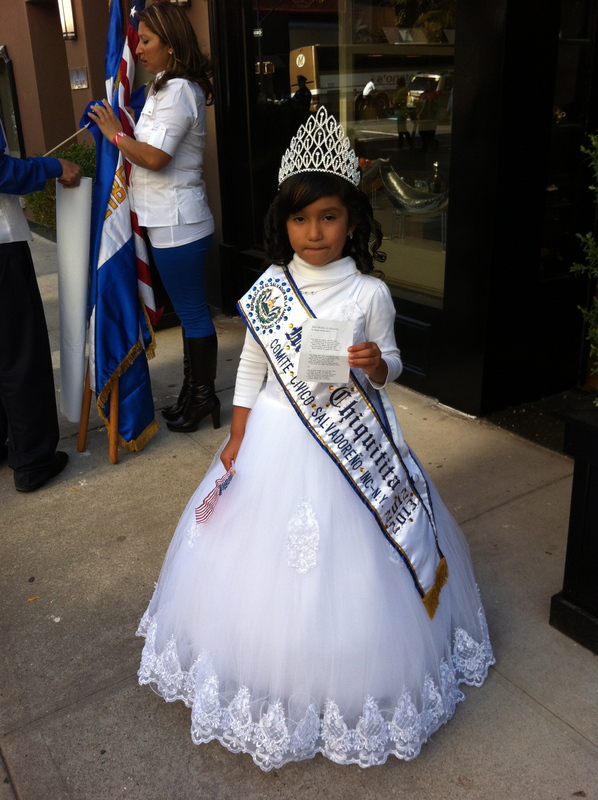 Walking back to my hotel from Central Park, I came across an enormous, street-closing parade celebrating El Salvador. And here was this little sweetie, just finished with her gig on a parade float. 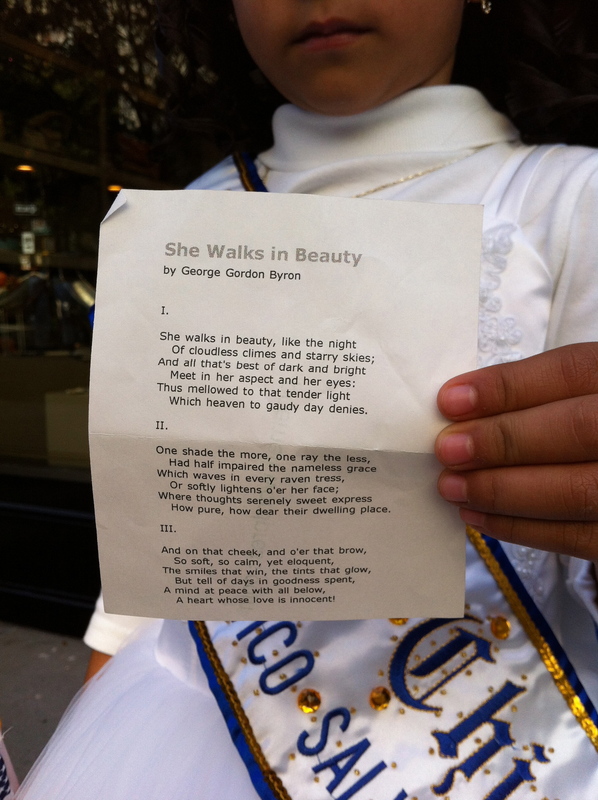 I handed her Byron’s “She Walks in Beauty” and asked if I could take her picture. Living in New York, she is surely used to nutcases and was agreeable to my request. I told her the poem was about a rare beauty. I hope she hangs on to it her whole life. 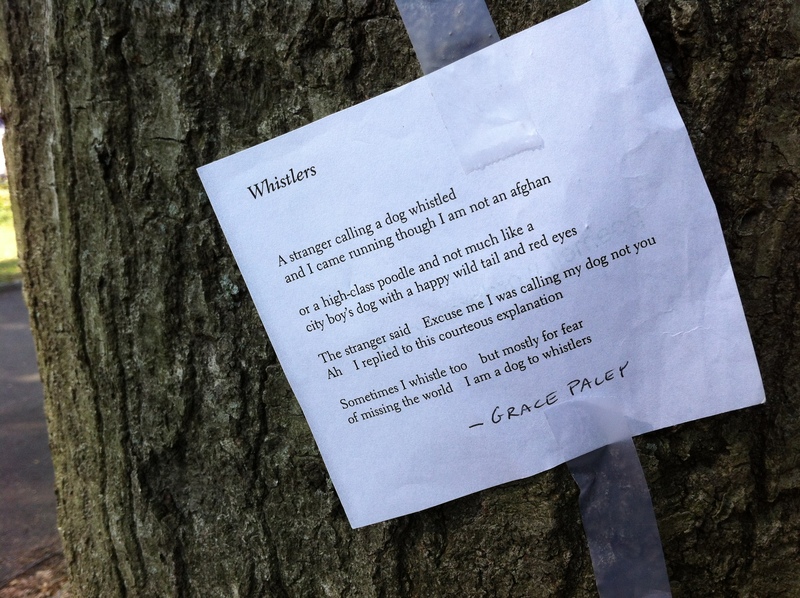 Earlier in Central Park I left Grace Paley’s “Whistlers” on a tree by the Bethesda Fountain. I’ve had this poem for years and years and find it funny but I still don’t completely understand the last stanza. 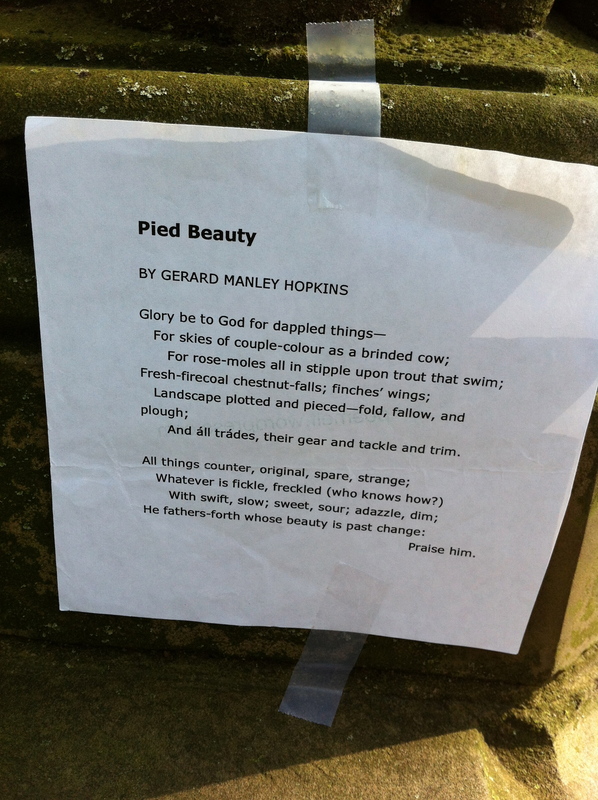 Hopkins poem is about nature. 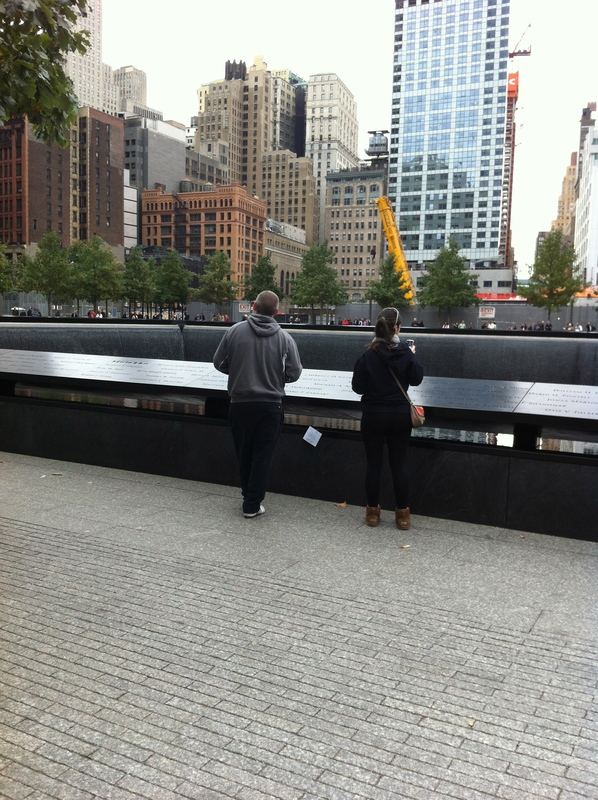 But putting it here made me think of why I love New York. “All things counter, original, spare, strange” : could there be a better description of New Yorkers? 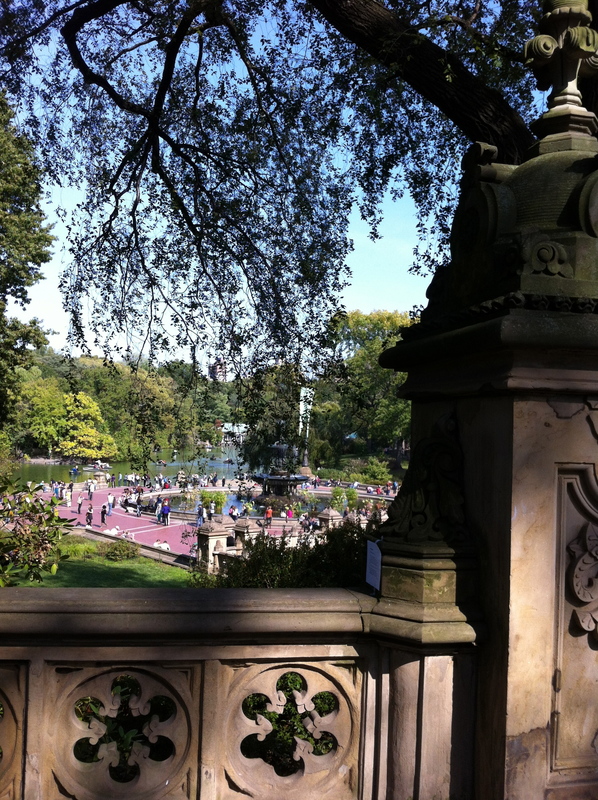 The other great thing about New York is that no one bats an eye when behavior is unusual. 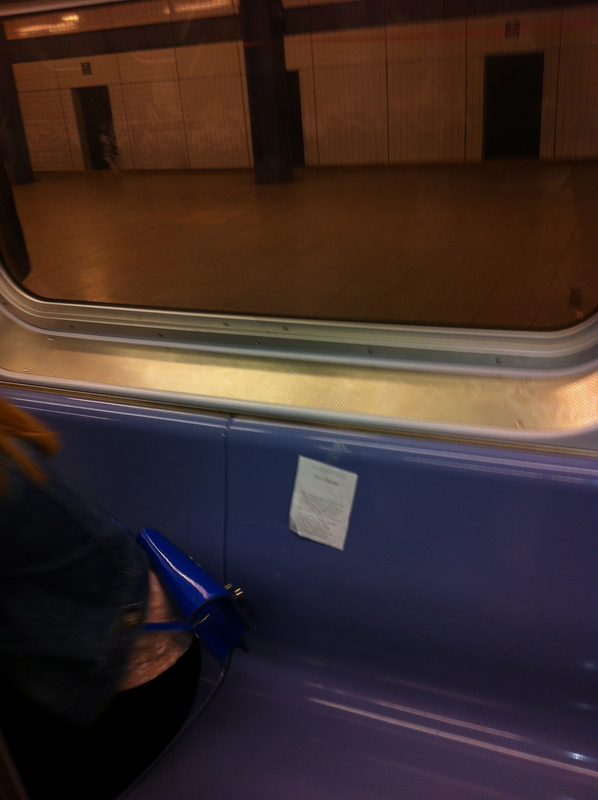 Even so, I was a little self-conscious taping a poem to a seat on the subway. It was a rush job (just before I exited) and the photo didn’t come out well. 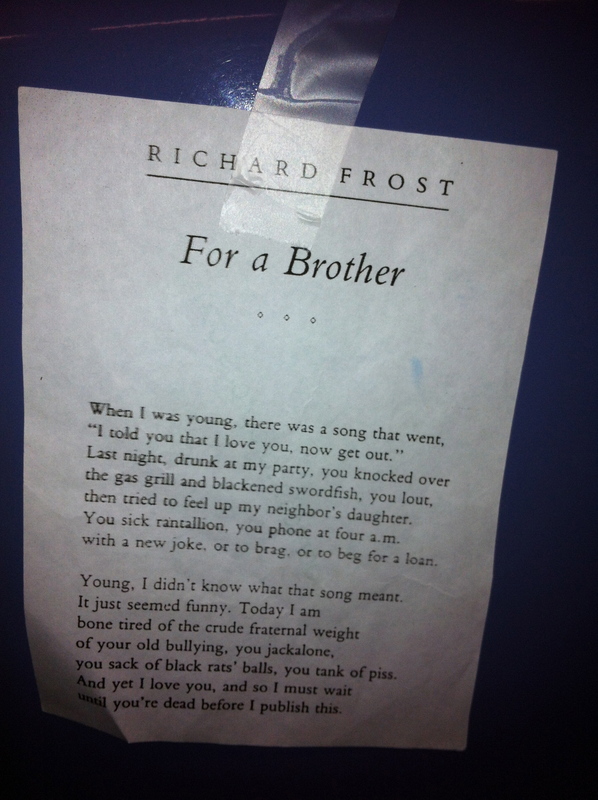 Richard Frost’s “For a Brother” is one of the first poems I collected. Why I was drawn to it, I’m not entirely sure, because I have four wonderful brothers and I would never call any one of them “a sack of black rats’ balls” or “a tank of piss.” Anyway, Frost’s long-buried feelings seemed to belong in a New York subway. 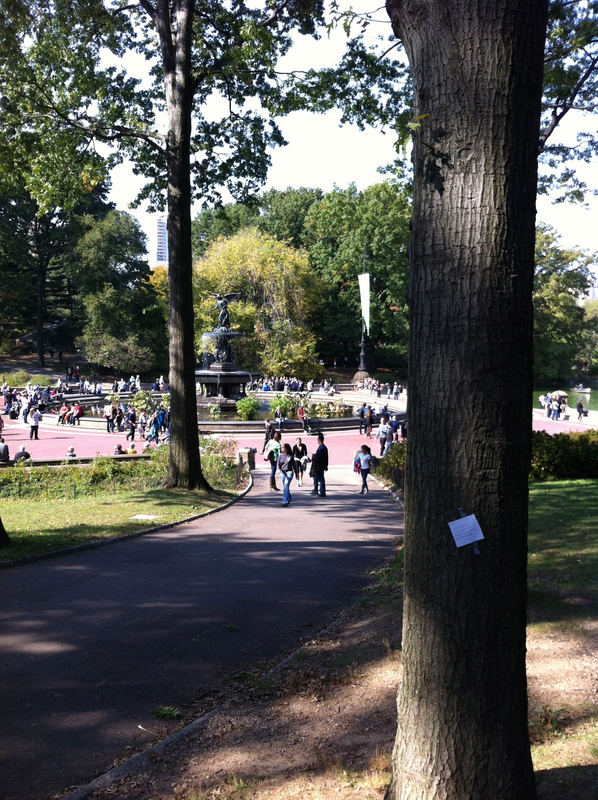 “Half hidden from the eye” could describe the tree before the attack and the last lines could speak to all the “ordinary” people lost on that day—dishwashers in the Windows of the World, receptionists at Cantor Fitzgerald, office cleaners, elevator operators, underperforming traders—and to those who loved them, love them still.